See all of Calgary’s photo booth rentals on one page. View the gallery. Photo booth rentals in Calgary, AB – Photo booths are the newest trend for social and corporate events in Calgary. Don’t miss out on the fun of getting entertaining, candid pictures of your guests! Rent the best photobooth for your event too. No matter if you decide to rent a big or little booth, open with only a back drop or completely enclosed to let people escape prying eyes, the effect will be the same – guests, friends or colleagues smiling and becoming kids again! Directly below is a list of all photo booth rental companies serving Calgary, Alberta along with info that shows what is included in their normal rental package. Any information the Better Business Bureau has published on these companies is also included along with reviews and ratings found on major review sites such as Google Places for Business and Yelp.ca. Hopefully this list along with our gallery of all photo booths in Calgary can help you find the best photo booth for your event or wedding. Related: We also provide a free guide that shows you how to select the right booth. Open Booth Prices Booth uses an 18 MP DSLR camera. Better Business Bureau: Not Accredited with an A+ rating. Enclosed Booth Contact for Cost They offer both a Magic Mirror photo booth and a more traditional photo booth which can be open or enclosed. Photo Stand Prices They don’t print photos. Instead, they instantly download to guests’ smartphones. Open Booth Prices Offer hashtag printing and a great selection of backdrops. 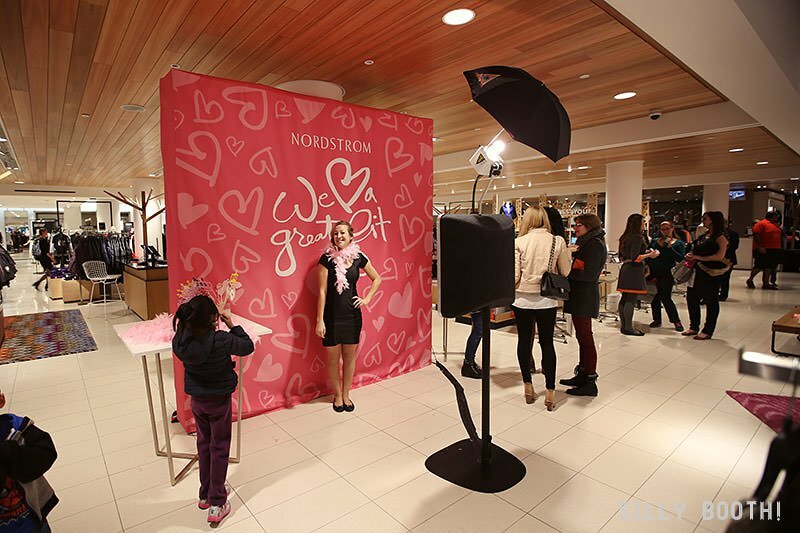 Neat Photo Booth Open Booth Prices Have a flare for creating customized photo booth backdrops. Better Business Bureau: Not Accredited with an A+ rating. Photo Stand Contact for Cost Guests can choose to do one 4″ x 6″ photo or a photo strip with 4 snapshots. Freeze Frame Photo Booth Enclosed Booth Prices Booth has external monitor so guests in line can be entertained by others’ pictures. Open Booth Prices Offer a social media kiosk for sharing photos on Facebook, Twitter, and by email. Open Booth Prices Rental comes with red carpet and red velvet ropes between stanchions. Open Booth Prices Photos are cropped and optimized. Guests use remote to activate camera. 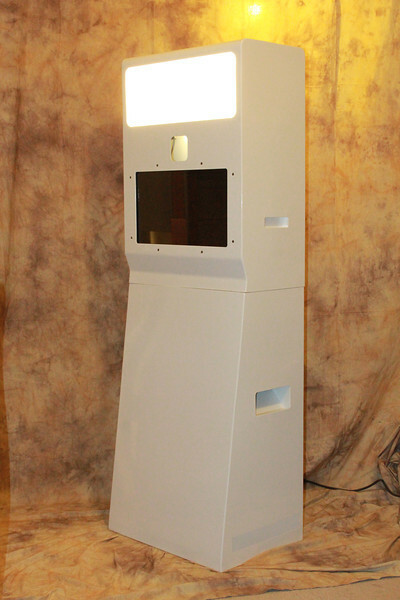 The Photobooth Company Enclosed Booth Contact for Cost Provide photo strips with 6 different poses. Open Booth Prices Have a lot of four photo 4″ x 6″ templates to choose from. Do You Know What a Photo Booth Is? Just like the name says, it’s a booth that takes your pictures. For years, they’ve been available as coin-operated kiosks at the mall. Current photo booths either have a photographer or they’re entirely automatic. Both styles have pros and cons but get the same result: guests having fun. When looking to rent the best photo booth, quality and props are vital. No doubt that the lure of instant photos will draw your party, wedding, social or corporate event guests into the booth, but the photos need to be top quality. Ask to see sample pictures, or even test out taking a few of your own, from any photobooth rental company in Calgary, Alberta you’re considering hiring. The best ones won’t mind at all. And don’t forget about the props. Cramming into a photo booth with friends, relatives or colleagues can be a lot of fun, so props that work for chest-high pictures are the best. Lots of things are ideal – funky glasses, wacky hats, colourful boas, funny or vintage costume items, you name it. A well-stocked crate of props for your guests to use for their pictures is typically supplied by the company you’re hiring. Other rental companies allow you to photoshop props or effects in afterwards, like celebrity images. You can also add funny borders or picture effects, like sepia or black-and-white. If they don’t offer all of the props you want, go the DIY-route with items from the dollar or party supply store. Maybe even have your logo, a personal message, the date or event name added afterwards. It all depends how you want your printed pictures to look, e.g. traditional strip of 2 photos, individual 4×6, or on a USB flash drive to sharing later. If you’re not sure what the company offers, ask them so that you know what you’re getting, especially if you plan to upload images to social media channels like Instagram, Pinterest, Facebook or Twitter. Even if you’re a price-conscious party, wedding or event planner in Calgary, Alberta, finding the best, affordable photo booth to rent is possible with this list. We’ve made it easy for you with all of the contact info you need above. Don’t miss out!